Creatio Fellowship is planning for its annual exhibition and actively collecting artworks from all members around the world. The exhibition will run from October 24th to November 4th. 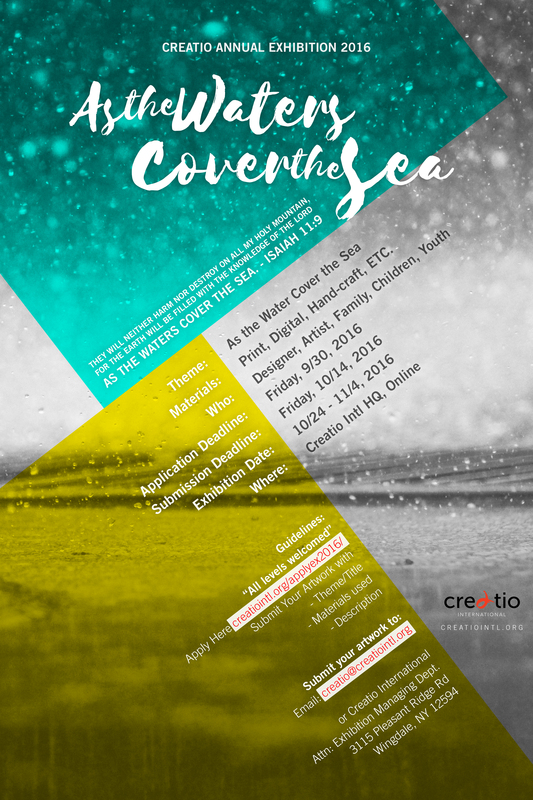 The theme of the exhibition is “As the Water Cover the Sea,” a verse comes from the book of Isaiah 11:9. The verse comes from the prophecy from the prophet Isaiah to preach about the Kingdom of God to the people of Israel. This is the vision not only being dreamt for after death, but this is also the commission and hope in life for each Christian. The desire is for it to come on earth as it is in Heaven. This event will encourage artists to meditate and inspire people about the Kingdom of God and the commission that all Christians have received through their artworks. The exhibition is open to everyone and the applications are open for submissions. Materials: Print, Digital, Hand-craft, ETC.